Everyone needs to send something through the mail from time to time, especially people who sell items on auction websites or run small home-based businesses. For domestic packages, the United State Post Office Priority Mail and First-Class Mail options can offer savings on shipping methods with timely delivery over other more costlier methods. 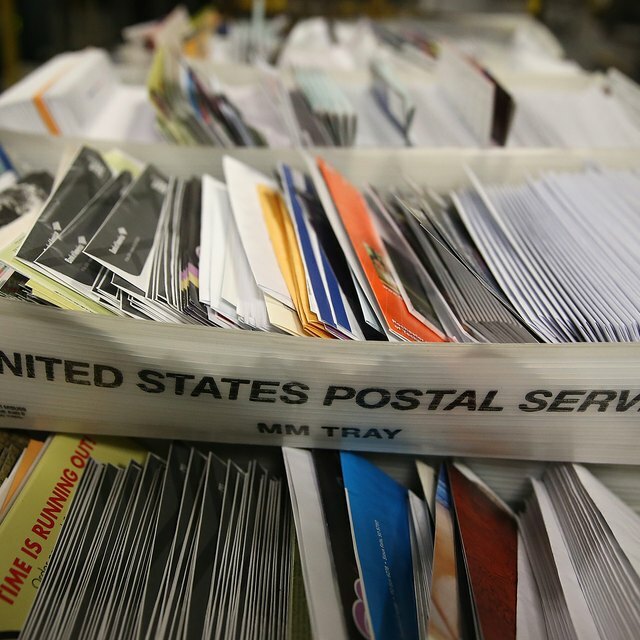 Priority Mail and regular first-class mail take one to three days for delivery, but priority mail offers additional benefits including the option of selecting faster delivery. The U.S. Postal Service (USPS) has multiple delivery options available for using the Priority Mail service. You can mail items – that meet certain size specifications – for delivery in one, two or three days. The service comes with free envelopes or boxes and labels and up to $50 insurance without any extra costs. Prices vary based on package size but you can also select the flat-rate option in multiple predetermined package sizes, even to APO/FPO addresses. The USPS, at the time of publication, delivers mail six days a week, Monday through Saturday. In most cases, the first-class mailing option takes from one to three days on average and three to five days for delivery to Alaska and Hawaii. To use the first-class mail option, prices are based on weight of up to 13 ounces maximum. You can only mail postcards, greeting cards, letters, envelopes or packages via this service. Postcards, envelopes and package sizes must meet certain dimensions to qualify for this service. Delivery times for either service are based upon drop-off location, time and destination. If you drop something off after 5:00 pm, the item usually ships the next day. While the postal service generally delivers within the periods specified, you can anticipate slight delays during December, the busiest shipping time of the year, and other holidays. Plan your shipment ahead of time or upgrade to Express Mail for shipping time-sensitive material during any holiday season. You can track items for delivery using the online tracking system, as long as you use Priority or Express mail. First-class mail options include certified or registered mail with tracking, if chosen. How Long Does Ground Shipping Usually Take? USPS Priority Mail supplies already conform to USPS size guidelines, so utilize them to eliminate packaging hassles. Take advantage of the online discount price by purchasing and printing shipping labels at USPS.com. Shipping labels that can be scanned expedite the handling process. When writing your recipient's address, include the additional four digits after the ZIP code to help expedite delivery. Shorten the package's route by dropping off your prepaid package directly at the post office instead of scheduling a pickup. Shipping times between rural areas or from rural areas to cities may be different than standard delivery times. Shipments from one rural area to another must be routed through a hub, which can delay the delivery by a day or two. Fides Ang is a writer and business owner. In her former corporate life, she was a consultant for a national closet company and a buyer for a high-end fashion consignment business. Fides holds a Bachelor of Science in graphic design from University of California, Davis. She has been writing for Demand Studio since 2009.